Superficially, Silver Tower and Decent look very similar. Each player controls a single hero and the action is played out on map tiles that can be assembled in a variety of ways. Monsters pop out either randomly or based on some sort of campaign script. There are item cards, skill upgrades and each player rolls only a small handful of dice each turn. 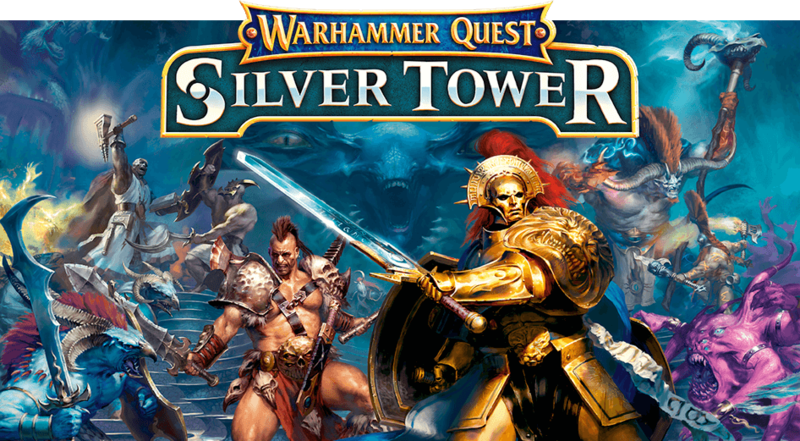 In terms of cash, Silver Tower will cost 150 USD. 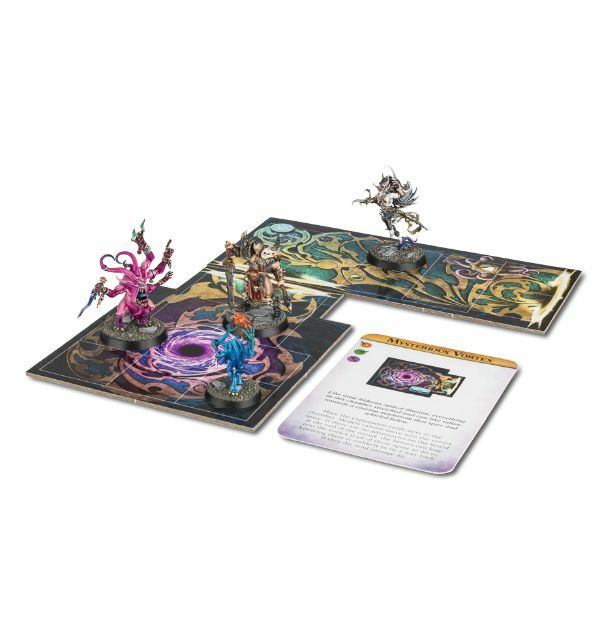 Descent retails for 80 USD. That's a pretty hefty difference. So, what are you getting for that difference? The rules in Descent are solid and are on their 2nd edition. The rules for Silver Tower may or may not be any good. Games Workshop is amazing with models, but tends to fall flat when it comes to the actual rules. Warhammer 40k is an unbalanced, overly complicated mess right now with a rock, paper, scissors tournament meta. Warhammer Age of Sigmar is the other extreme. It's way too simple with no real way to play competitively. It relies entirely on sportsmanship to balance armies. This should be a slam dunk for Games Workshop. For straight numbers, Silver Tower includes 51 models. That's around three bucks a model. The GW models are hard plastic, and have to be assembled, but are also larger and look amazing. 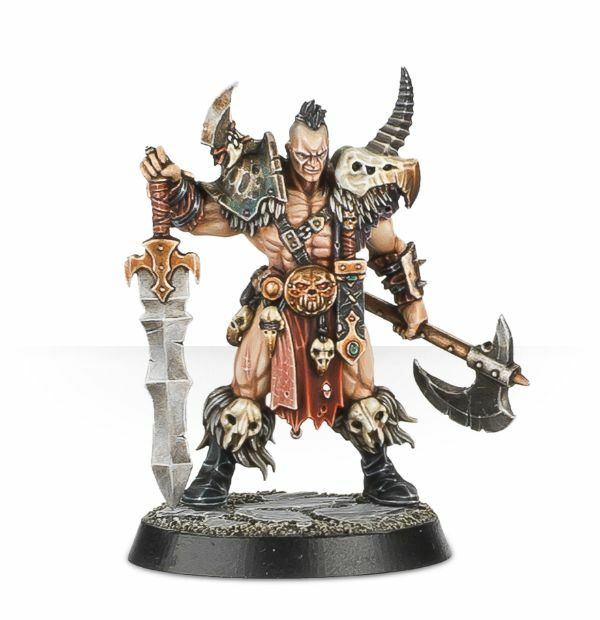 Here is an example of one of the GW heroes painted by their studio artists. You can see the level of detail and crispness. Compare it to some Descent models and you'll see the difference in quality. I get that the paint quality is vastly different, but you should be able to see the detail difference. Descent clocks in at 46 figures, coming in closer to two bucks a model. Compared the the three bucks for the GW models, Silver Tower is the better deal. As opposed to the models, this one is likely to be a win for FFG. FFG tiles are mode detailed a lock together. The core set comes with 48 map tiles (granted some of those are "end caps", with many, many more available in the various expansions. Silver Tower comes with just 13 tiles. They don't lock together and they don't have the same level of artwork. It's not bad, but it doesn't look anything like a dungeon. I know it's all Tzeentch themed and that aesthetic appeal is a thing, but it's just not working for me. Descent currently has TONS of expansions, which makes sense because it's been around for longer. Silver Tower has an app that allows you to download rules for some of the Age of Sigmar models. 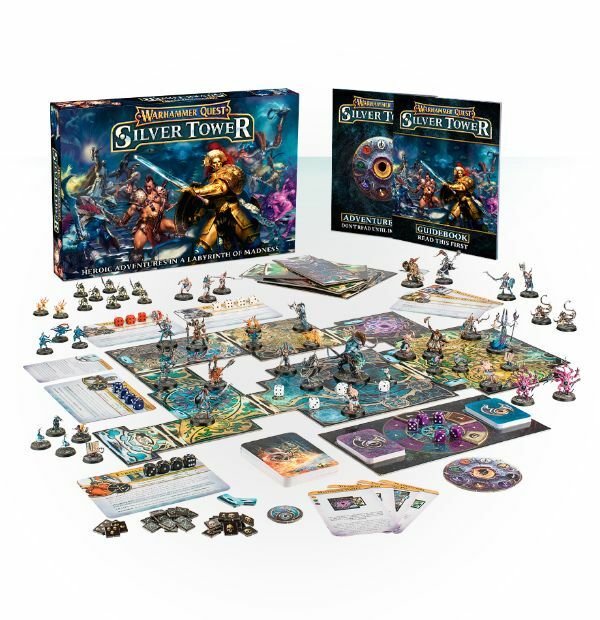 It's a little too early to tell whether or not Silver Tower will be successful as a game, but to compete with it's competitors, it'll need to crank out more than just extra hero cards. There will need to be legitimate expansions with new campaigns and tiles. While this pre-release review wasn't comprehensive at all and was based mostly on GW's marketing materials and the good old rumour mill, I'm cautiously optimistic. I think 150 USD is way too much to spend on an untested board game, BUT... might be worth it given the upcoming General's Handbook. Thought I forgot about that didn't you? The General's Handbook is an expansion for Age of Sigmar that will give all existing War Scrolls a points value. It will allow balanced army lists to be built ahead of time. GW is giving away free Age of Sigmar War Scrolls for all the units in the Silver Tower box, so we might have a board game where the miniatures are usable in a secondary game. That would create additional value and might push the purchasing decision to a yes. Realistically though, I'll probably buy a copy of the game sans miniatures off eBay for $10 a week after release just to see how it plays. If it seems like a good value for the dollar at that point, I'll bit and get a copy. If not, I won't. GW is trying to break into a tough market with lots of successful competitors... Descent, Imperial Assault, and many more.